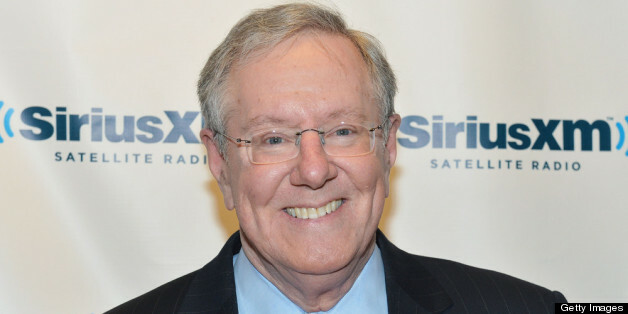 In this blog, I continue my conversation with Steve Forbes, chairman and CEO of Forbes Media -- sharing with you his top eight recommendations for success. 1. Always seek to disrupt yourself, to stay ahead in an exponentially growing world. "You should look around and keep asking yourself, 'If I was starting my company over again today, how would I do this business? What scale would it be?' What you'll find is that a lot of the things you're doing, don't need to be done and maybe some of the things you're not doing, you should be doing. You have to almost disrupt yourself, or others will do it for you." 2. Size will no longer guarantee you success, stability or survival. "Who wants to own newspapers now?" asked Steve, rhetorically. "I remember the Minneapolis Star Tribune 15 years ago sold for over a billion dollars. Then the media innovation wave came. The Web started to really hit, when Craigslist came online and the Star Tribune sold a few years later for $500 million, then a few years later for $100 million and then eventually went broke. So, even though a lot of newspapers still survive today, a lot of them are acting like the post office: They have cut back drastically. In an age where everything goes faster, they think that delivering less is the way to getting well. You've got to survive in the short term," explained Steve, "but you've also got to rethink your entire business model or else it will gobble you up. Size will not protect you anymore. There is no stability. You can be worth $10 billion today, and be scrambling tomorrow." 3. Deal with criticism by keeping things in perspective, and have a firm mindset. "In the old days you'd write a piece, you'd publish the piece, you'd get a letter to the editor," Forbes said. "Most people didn't react because it took effort to write a letter to the editor. Then you might respond to the letter to the editor, and so it goes at this leisurely pace," said Steve. "Now, it's instant. The ease of criticism means the volume is huge, which in turns leads you to guard against it. Most of it is barroom junk, hardly worth your time." "But how do you determine what's valid or not? You've got to remind yourself that your critics will typically have a vested interest that they're desperately trying to protect even if they don't fully realize it. There's no science to it. Critics may be right in one sense but it doesn't mean you're wrong. It takes real inner fortitude to take the hits, and at the end of each day still rising up to keep pushing forward," he explained. "Remember in the early days of Pixar, before Steve Jobs sold the company to Disney? Steve went through $50 million -- nearly depleting his personal fortune -- pouring money into this seemingly crazy venture before it suddenly came together," Steve recalled. "Disney suddenly realized its future was not parks per se, it was animation, and it needed to get on the wave of animation again to create new characters or it would wither away. For a while Jobs knew it but Disney didn't, even though that was their whole bread and butter. That takes fortitude." "That is a defining characteristic of entrepreneurship. Sometimes you're going to look like an idiot -- you are going to have to continue through the criticism. You may be wrong, but you got to believe in it enough where you can make mistakes and say 'No, ultimately I am right and I'm going to find a way to pursue it even though I've got all these losses brewing around me.' It's tough." 4. Smart entrepreneurs make use of technology -- they don't need to invent it. "Depending on what your business is, you don't have to be a technologist," said Steve. "You just have to say, 'Are there tools out there that I should be using?' You know who made the most money from mainframe computers? Sam Walton, of Walmart. What Walton realized in the early '60s was that if he could manage inventories and information and all the many supply chains better than his competitors (such as Kmart, which in the early 1960s was 50 or 100 times the size of Walmart), he could beat them at their own game, which was a dazzling insight when you think about that," said Steve. "So, he wasn't a technologist but he had a real sense of how to use an existing technology to beat his competition." 5. Leadership means dealing with curveballs. "It could be mistakes you make or it could be circumstances beyond your control -- either way, you're going to get hit by a curveball," said Steve. "Just know it will happen. How you respond to something that doesn't have a playbook is the real determinant of your leadership skills because you're going to have to do it from deep inside without knowing whether its going to work out or not. Don't get too disoriented when it happens. Just know at some point you're going to get blindsided no matter how much on top of your game you are." 6. In terms of innovation, don't obsess about the bottom line -- just build your audience. "Back in the old magazine days we did 26 issues a year," said Steve. "We ran more articles than our competitors who were bigger. In an issue there might be 50 or 60 articles, some small, some major -- over 1,000 a year, 1,300 a year, 1,500 a year. Now, with Forbes.com, 98 percent of the content is non-magazine. We have over 850 contributors signed by contract. We do on average 125,000 pieces a year," he said. "What this means," explained Steve, "is that we put out a magazine virtually every day. So, even though the magazine-part staff is smaller than it was five years ago, and vastly smaller than it was 10 years ago, in terms of content, what we're now putting out there has increased a hundredfold. That's a huge change. Have we monetized it yet? Partially, but we take another attitude: Don't get obsessed with the bottom line. Get that volume while you can and you'll figure it out later. That's the mode we're in now," he added. "Get the eyeballs, get the audiences, figure out how to do it, bring people together, start that social community, backwards and forwards," he said. "Each of our contractors promotes their own stuff through their own networks and links, so they bring lots of traffic. The monetization we'll figure out, but the key thing is get the business right. Don't be too quick to say, 'I've got to show something on the bottom line,' because you may miss something bigger." 7. Trust your instincts. "One of the things you realize quickly as an entrepreneur is that you need take chances. You may pass up the equivalent of a Babe Ruth, but you're also going to pass up a lot of flop-up players as well," said Steve. "If somebody comes along with something dazzlingly new that you think might fit in somehow, someway, you'll take a look at it," he said. "You've got to have a real sixth sense for it. You only have so many hours in a day. You may pass up great opportunities, but so be it." 8. Focus on your passions to innovate. "You've got to see where your passion leads you," said Steve. "If you're focused only on the idea of becoming a billionaire, you're going to spin your wheels and you won't create any real durable value. So shape your passion and focus on you passion. It's a cliche, but it's absolutely true," he added. In my next blog, I'm going to introduce you to Chance Barnett, founder and CEO of crowdfunder.com, a business crowd funding platform. NOTE: Over the next year, I'm embarking on a BOLD mission -- to speak to top CEOs and entrepreneurs to find out their secrets to success. My last book Abundance, which hit No. 1 on Amazon, No. 2 on the New York Times and was at the top of Bill Gates' personal reading list, shows us the technologies that empower us to create a world of Abundance over the next 20 to 30 years. BOLD, my next book, will provide you with tools you can use to make your dreams come true and help you solve the world's grand challenges to create a world of Abundance. I'm going to write this book and share it with you every week through a series of blog posts. Each step of the way, I'll ask for your input and feedback. Top contributors will be credited within the book as a special "thank you," and all contributors will be recognized on the forthcoming BOLD book website. To ensure you never miss a message, sign up for my newsletter here.